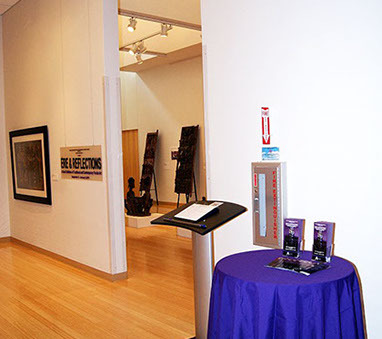 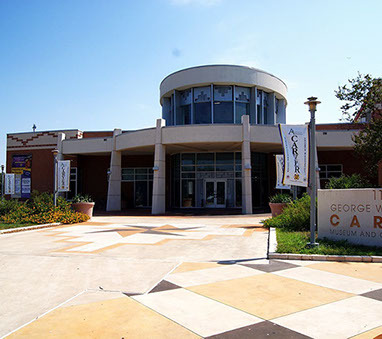 The George Washington Carver Museum - Austin, Texas. 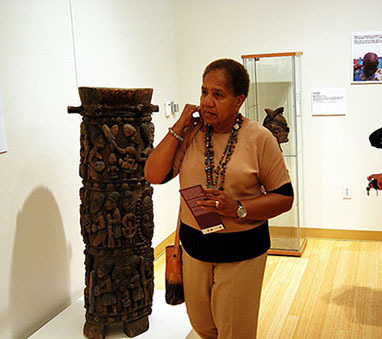 Craig Fashoro sharing the history of a Master Carver. 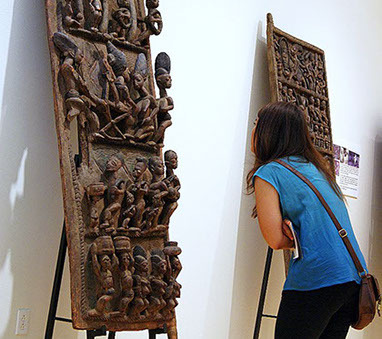 Ọlọ́wẹ̀ of Isẹ̀ door being admired. 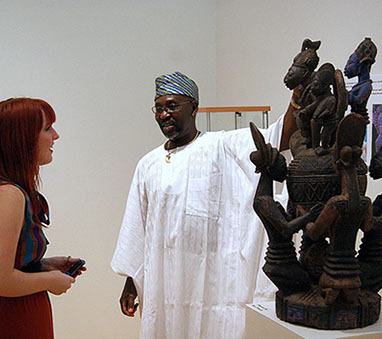 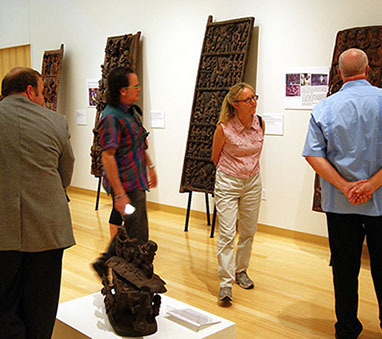 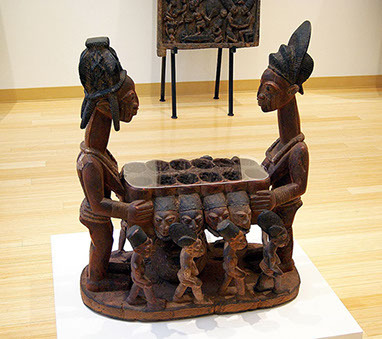 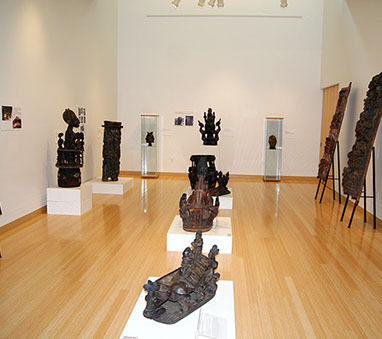 Visitors enjoying the collection of works by the Grand Masters of Yoruba carving. 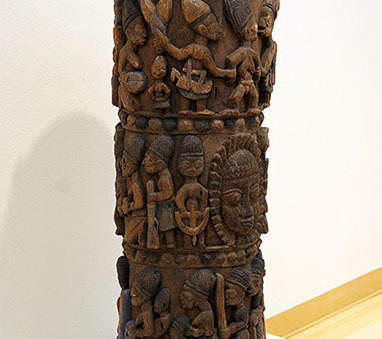 Frank Eagar, contributor to the project and patron of the Arts with an Ọlọ́wẹ̀ of Isẹ̀ Veranda Post. 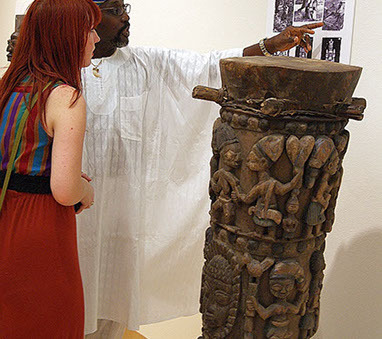 Craig sharing information on another Ọlọ́wẹ̀ of Isẹ̀ masterpiece. 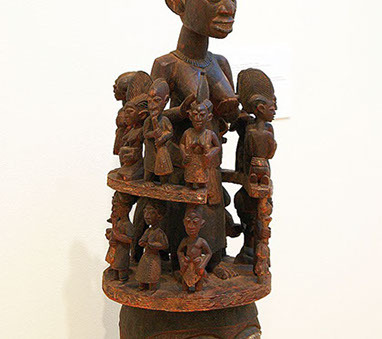 Works by Ọlọ́wẹ̀ of Isẹ̀, Dàda Àrẹògún (a.k.a. 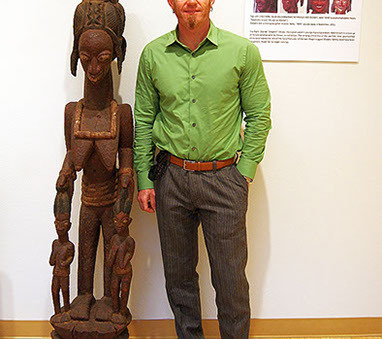 Arówógùn) and his son, George Bándélé Àrẹògún.